I'm a software engineer on a games engineering team at a media company. 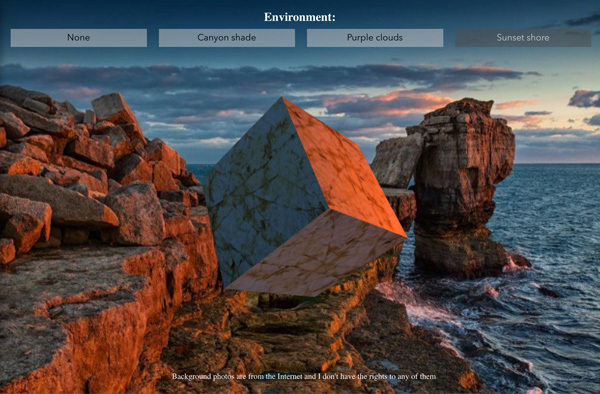 This page is my personal work, mostly HTML5 games and graphics demos. 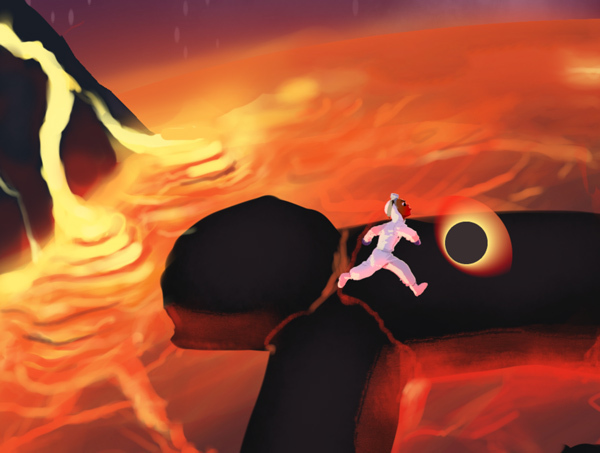 You can also see some of my art from (fizzled) indie comic projects here: http://eclair-voyant.blogspot.com. The successor to Raptor Run. This is a demo of the current state of the engine, which I'm writing from scratch in vanilla ES6. 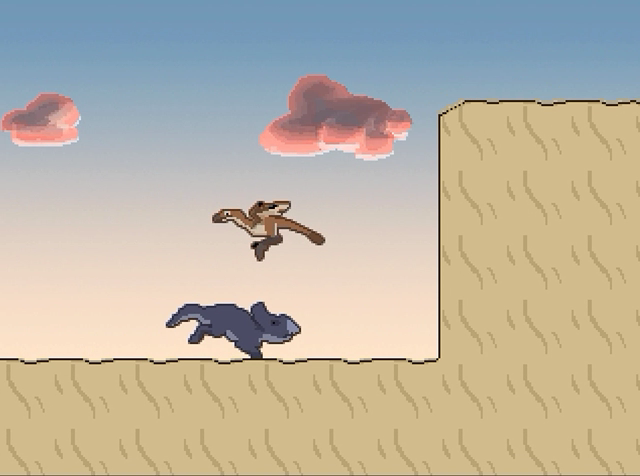 It includes a flexible component-based architecture, support for multiple scenes, tile-map levels, and momenutum-based physics. Follow my tumblr for development art. 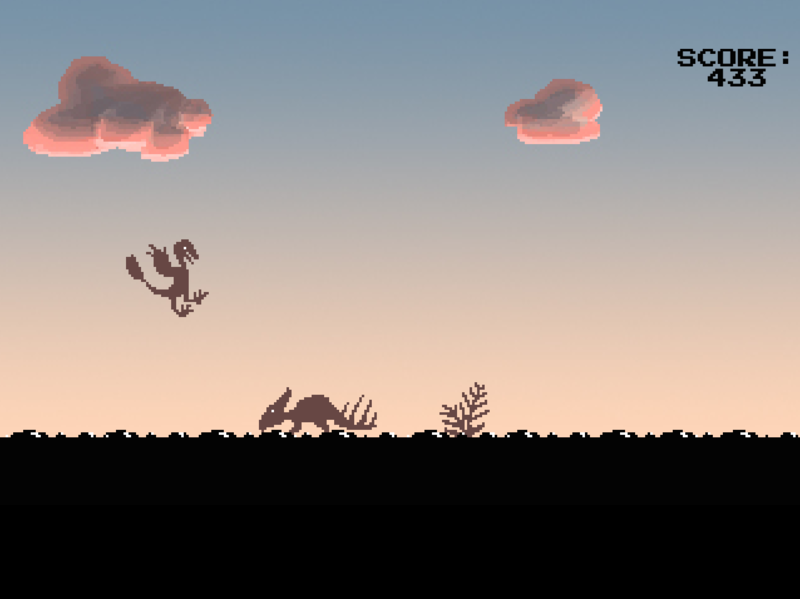 A basic little "infinite flapper" HTML5 game about a scientifically-accurate feathered velociraptor. Written in vanilla ES6. 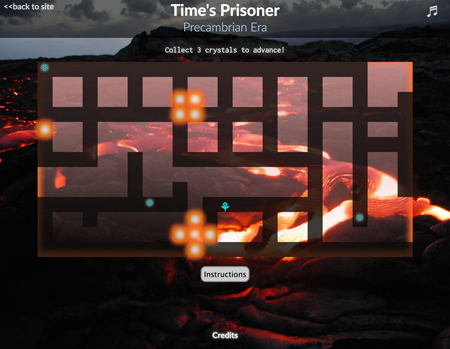 Early attempts to translate Time's Prisoner into a full-fledged overhead adventure game. Written from scratch in vanilla ES6 with no outside engines. I may revisit this game concept sometime. Babby's first HTML5 game. I think it has a certain naive charm. Desktop only. 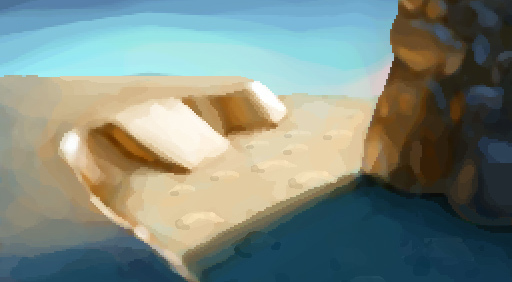 An HTML5 experiment in creating a 3D-feeling game field using only flat 2D assets. The environment is hand-painted, but affects your movement as if it were 3D. More experiments with WebGL. 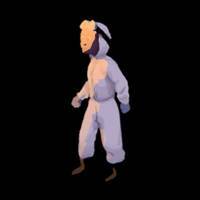 Generate cartoon-style flame, liquid, and smoke. I came up with a way to make the particles as state-free as possible and do all position calculations on the GPU for optimal performance. Rewriting my game's normal-mapping engine in buttery-smooth WebGL. The light follows your mouse or touch. Beginner dabbling with raw WebGL. Playing around with lighting conditions on a cube.